After her debut novel “The Hate U Give,” author Angie Thomas is releasing a second book: “On the Come Up.” The novel offers a new perspective on racism and prejudice in the United States. 16-year-old Bri aspires to become a rapper after following the footsteps of her newly deceased underground hip hop legend — her father. However, when things start to go south after the pressures of life start piling up to the point where success slowly begins to seem like a pipe dream, Bri has to find a way focus on chasing her dreams even when the odds are against her. “The Age of Light” by Whitney Scharer is an intriguing novel about a change of identity. Formerly a Vogue model, Lee Miller soon realizes that a glamour life in front of cameras might not be enough for her. She soon begins to form a new life behind the camera and lights instead. “The Age of Light” questions what it means when being an artist with ambitions and a woman with desires come into conflict. This intersection drives the focus of the novel, making it all the more captivating. Nobel Prize winner Toni Morrison is back with another awe-inspiring work. “The Source of Self-Regard” is a collection of essays, speeches, and socially invoking pieces that Morrison herself created throughout a span of four decades. These inspiration pieces from one of the most important and influential authors alive come together making “The Source of Self-Regard” a must read for the year. 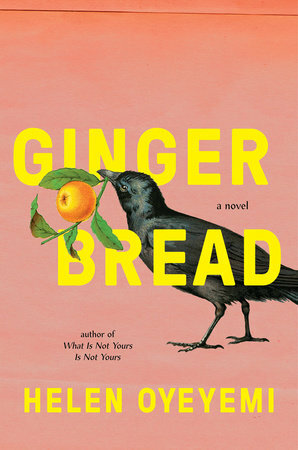 Influenced by elements of classical fairy tales and children’s stories, “Gingerbread” by Helen Oyeyemi is a whimsical novel about one’s deepen understanding of their family tree through the most surprising and uncanny ways. Set in London, England, “Gingerbread” is a wonderful mix of the fantastic and the familiar. Author of comic strip “Cathy,” Cathy Guisewite returns with a funny and heartwarming telling of her experience in womanhood. From the very basic to highly exciting experiences of adulthood, “Fifty Things That Aren’t My Fault” expresses the wide variety of situations that may surprisingly arise during adulthood.